Kickstart your email campaign with our email marketing Birmingham services. A solid email marketing Birmingham campaign can be a great marketing tool. It simply works when done right. We’ve all been captivated by free shipping or buy one get one free, not to mention those hefty discounts popping into your inbox weekly! If you want to tempt your customers further into buying from you online, email marketing is your next step. We’ll be honest; it’s pretty competitive, but working with the right marketing agency really makes all the difference. Your email marketing campaign needs to stand out. Think about the hundreds upon hundreds of emails your customers will receive every week, possibly even from competitors! The first thing you need is an eye-catching subject line and headline. Without them, you’ll not grab the attention of your customer and your email will probably get deleted. At our agency, we have a professional content writing team in-house who can create engaging copy and secure a high click-through rate for your emails. If you’ve tried email marketing before and it’s not worked for you, we can let you know why! For a quick enquiry, hit the button below. Why is email marketing worth it? For years, emails have been the main form of communication between businesses and customers. About a third of people check their emails daily, meaning a huge opportunity to get your business messages across and see results. Even if a customer doesn’t buy directly from an email, it’s always nice to make them aware that you’re there, should they decide to shop around. You don’t only have to send a single generic email to every customer in a database. In fact, it’s now become easier than before to tailor your content to each individual customer. What have they shopped for previously? Would they be interested in your latest store sale or in a different selection of themed products? 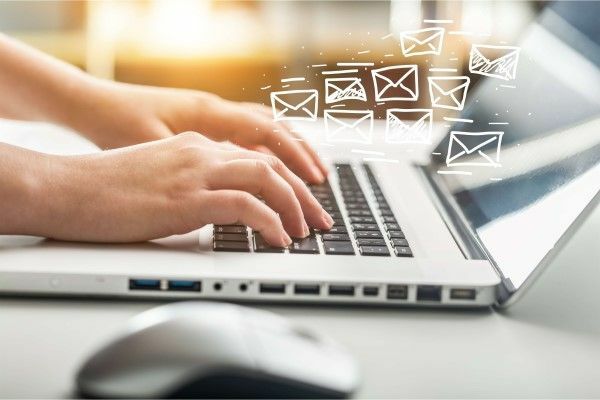 Our email marketing Birmingham services can help you monitor your customers and provide that little push they might need to complete a transaction. Email marketing is extremely cost-effective; imagine printing and posting out hundreds of leaflets directly to your customers – how expensive! With email marketing, you don’t get any of these costs. Quality software and sending out emails in bulk is a considerably cheaper method. It’s simple to measure your success. We use specialist software to automate and track how each email performs, including how many emails are opened, which links are most popular and how many people unsubscribe. If you’re getting unsubscribers, it may be time to think about recollecting some new customer data. Tracking and monitoring your emails is simple with email marketing. You don’t need to be a complete email marketing whizz to understand the statistics you’ll get with email marketing management software. Through using reputable platforms such as MailChimp, you’ll get a clear view of your statistics which we can then turn into an easy to digest report. Why use our email marketing Birmingham services? The right email marketing campaign can be difficult to perfect on your own. This is where we come in. Our experts know their stuff when it comes to effective marketing, so working with a team who can deliver is a worthwhile investment. What can our services provide for your business? Quality content is an essential component in any email marketing campaign. Without it, people are going to instantly switch off and continue with their day without giving you a second thought. Creating engaging, informative and quality content is the key to success and the secret ingredient to gaining more traffic. The better your content, the more chance a potential customer will choose you above a competitor. There’s no point sending an email through to a customer in the middle of the night when they’re sleeping, or during peak work hours; they’ll quickly get lost. Timing your emails for a lunch break or later in the evening, the time when people are more likely going to check their emails, is the best practice. Through doing this, you’ll see a much better open rate and less chance of your emails being deleted at the end of the day. We know we can deliver great results, so why should we hide that fact? 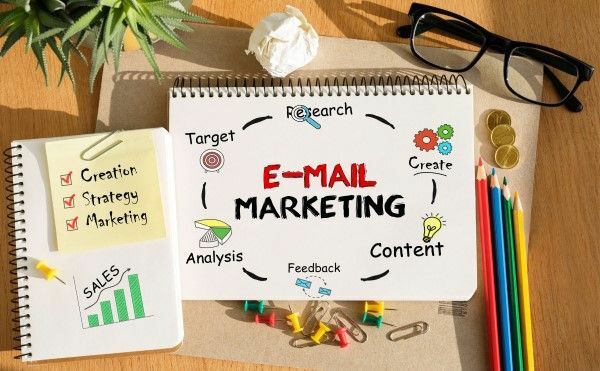 Our team will provide regular insights into what we have achieved for your email marketing Birmingham campaign by creating monthly reports to send to you. We want to show you how your budget is being spent and what we are doing to boost your traffic and online sales. We’ll even schedule in meetings and phone calls where convenient. We make working with us as simple and as hassle-free as possible. Your enquiry is the start of the process – we’ll get to know your business and what you hope to get out of an email marketing strategy from us. We’ll then give you 101 reasons why Bigfoot Digital is for you! We’ll get to work on a proposal for you, detailing what we can do for your business, pricing as well as what you could achieve with our services. We’ll keep you up to date on each step of the journey as well as scheduling in discussions where necessary. We’re excited to show you what we’re capable of. Choose our professional email marketing Birmingham services. If you’re looking for an engaging email marketing service that will transform your online sales’ success, then consider Bigfoot Digital. We’re a full-service agency, specialising in everything from social media and PR to SEO and video production! Our email marketing services are flawless. We can write the greatest content, help you to build to most appropriate customer database as well as send the right people to your website. We know all the right tactics and are confident we can work with you and your team to create a successful email marketing strategy. For more information and to get all the answers you need to your burning questions, get in touch with us today by phone or by emailing us at enquiries@bigfootdigital.co.uk. Let’s create a solid strategy that works, together!